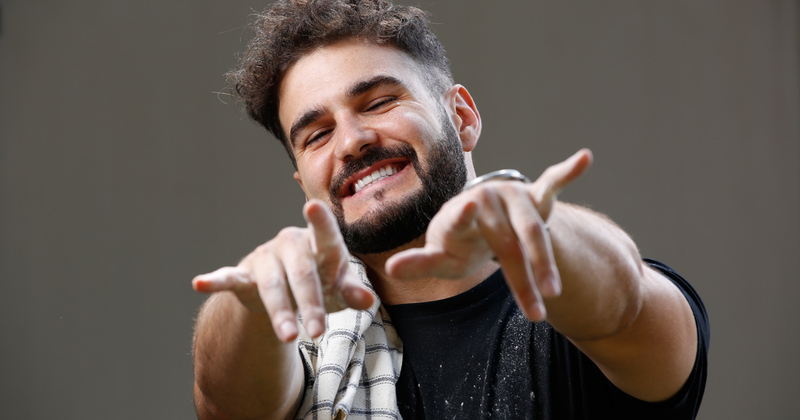 You may know him as the lead singer in the local group Mi Casa, but in the past year, J’Something has made his way into the food scene, starring in his own cooking show Something’s Cooking on Mzansi Magic, and What’s for Dinner on SABC 3. 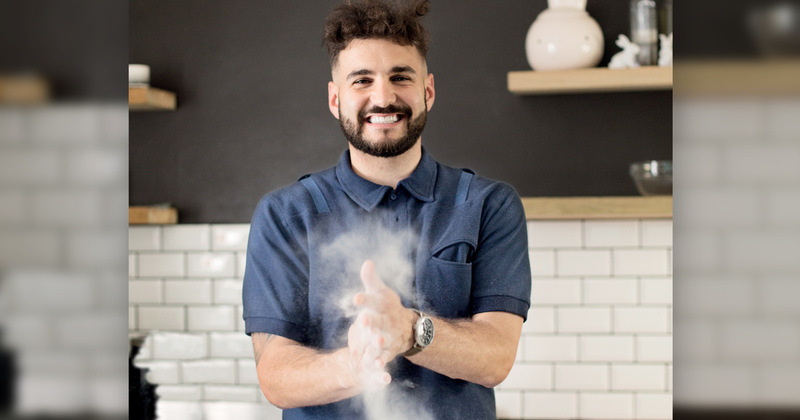 He’s been appearing all over the country at food expos and this year opening a restaurant in Menlyn, Pretoria. We’ve asked him a few questions about his life what’s next for him. 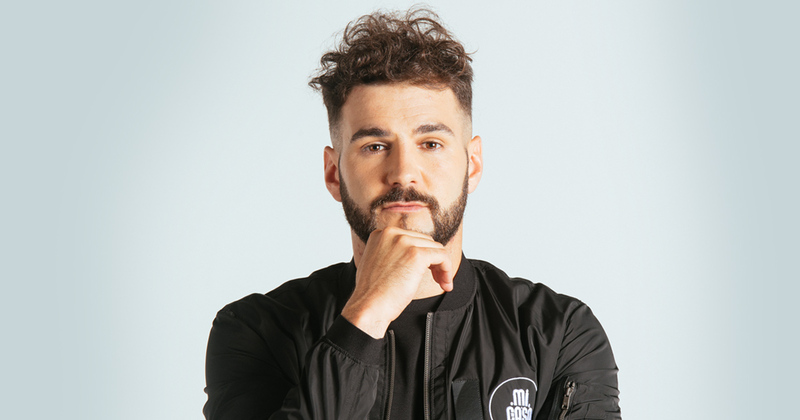 We know you from music group MiCasa, please give us a few words that describe who J’Something is. It’s honestly getting a little harder by the day to define my brand. It is partially my “fault”, but I'm a dreamer. I have ambitions and those ambitions then start to grow legs and expand beyond my wildest imagination. But J’Something is Joao da Fonseca. That's my real name, and the reason why that's the best definition to give is that the two are pretty identical: the way I am at home is how people see me in public. I'm just slightly more relaxed when I’m home. I'm a human being that is very grateful to be singing and cooking for a living. You’ve been hosting cooking shows on TV lately, is this something you’ve always wanted to do? I can't say it has been a dream of mine since day one. I can't believe that food has grown into such a big part of my life. But since day one I have always wanted to entertain people. Actually my first gig EVER – I've actually never shared this story – was a dinner combined with a performance from yours truly for my mother and her friends. I charged them R5 per person, even though my mom literally did all the work! What is your daily inspiration and motivation every morning? What gets me out of bed is a passion for me. Yes, it sounds self-centred, and it is. The biggest lesson I've learnt in my life is that nothing is more important than me. So I have a 40-minute ritual before sunrise which includes meditation, journaling, reading and coffee. You see when you focus primarily on yourself you are able to be so much better to others and to the world. You’re a husband and now recently a father, but very private about your personal life, why did you decide to keep your family away from the limelight? It was just a decision my wife and I made when we started dating. We never wanted to be known because of our relationship, or any element thereof. It's a protection thing I guess. The other day I saw a guy posting a picture of his kid saying how cute she is, and some people replied saying that the kid wasn't cute… That would drive me crazy. So no, my family is mine, my music and food journey can be criticised and judged (for good and bad), but not my family. I won't handle that too well. You’re very close to your mother, what kind of relationship do you have with your mom and family? My mother and I are close because for pretty much my whole life (since the age of 7) we’ve been together alone. She also happens to be pretty awesome! The rest of my family lives in Portugal, so it has always been rather tough to connect meaningfully. Despite the separation, my brother and I are really close and I love my aunt and her kids. My family from my wife's side are amazing and I love them to bits. We get along very well and that's a real blessing to me. Where do you see yourself in the next five years? Any new ventures you’re planning? In all honesty, who knows? I know it’s a predictable answer, and maybe not the dramatic and inspirational answer you were after, but I'm working on becoming more present and living in this moment right here. I feel like we all live in advance and never live in the now. So in five years, I hope I'm happy and I hope I'm loved. But for now, I'm taking in all the crazy, wonderful and challenging things that are happening in my life right now. Where do you like going on holiday, your favourite vacation spot? Without a shadow of a doubt, Pumba Game Reserve in the Eastern Cape. My wife and I have been going there for the last nine years and it's a sanctuary. There's just something about me and the outdoors! Please share with the fans something they don’t know about you? I cannot stand or sit next to someone who is cutting their nails. It freaks me out. I have no idea why, but I cringe. Who is your biggest inspiration or mentor that you look up to and aspire to be? Wow, so many people. My own potential is something I'm pretty curious about. I am inspired by various people for many reasons, but nobody comes close to my wife. She is my greatest inspiration and the strongest human being I have personally ever met. Who’s your favourite musician and why? This is a tricky one because it changes so often, and I love music sooooo much - it's hard to pick only one! Right now I'm listening to Andrea Bocceli, who is an incredible classical singer and someone that inspired me from a very young age, and I've also just come off the back of one of my favourite shows of my life, Starlight Classics where Mi Casa’s music was performed by a 70 piece orchestra and I got to perform with amazing artists. Please share a few words of inspiration for our Jet Club readers. You were made with a lot of thought and were made by a God that is so vast and so intricate. When he made you, he saw perfection. It's about time that you start to see that for yourself. Discover you.